Hands up whose fitness journey started with a pair of York Fitness dumbbells? I still remember lugging a set back from Argos in the early 90’s, probably my first real “strength” workout! At York we are proud to of been a part of so many fitness journeys throughout the world over the last 86 years. 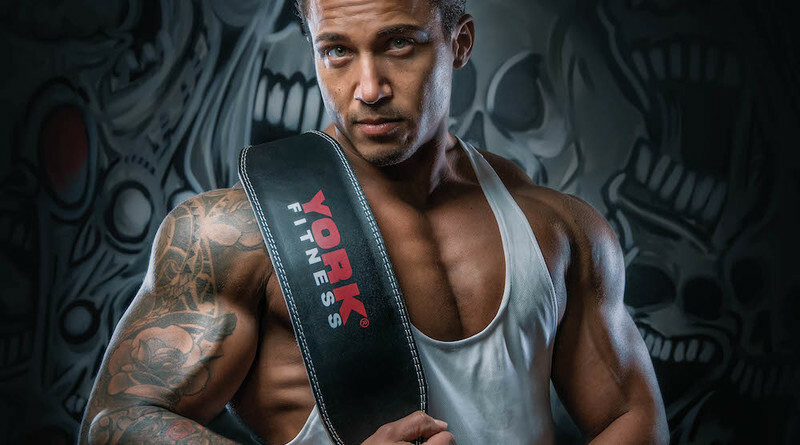 In the UK we are probably most famous for our York Fitness ranges supplying strength and fitness solutions for home users, however our heritage as the pioneers of today’s fitness industry is often untold. York Fitness is a brand name of York Barbell which was founded in 1932 by Bob Hoffman in York Pennsylvania. Named the “Father of World Weightlifting” by the International Weightlifting Federation, Bob Hoffman pioneered many of today’s accepted physical conditioning and strength training philosophies and began shaping the fitness industry through product design, education, competition and athletic sponsorship. From the decades of the 1930’s through to the 1970’s, York Barbell flexed its muscle with its Olympic lifting teams. The renowned York Barbell Club dominated the Olympic scene with over 40 national championships and numerous Olympic Gold Medallists. York Barbell has been synonymous with the essence of weightlifting since its inception. The York Barbell Company and its legendary Olympic weightlifting team wrote a substantial chapter in the biography of weightlifting and equipment development. Hoffman was one of the first to preach that a stronger athlete is a better athlete. He was a prolific writer of books and articles, tirelessly promoting the benefits of exercise and successfully encouraging its practice to the military and the general public. York Barbell Company developed some of the first lines of exercise equipment in the industry. A pioneer in the health food business, Hoffman introduced a line of nutritional supplements in the early 1950s and developed the first energy bar in 1966. The official Weightlifting Hall of Fame which is based at our USA headquarters in York, Pennsylvania is well worth a visit showcasing our history in the sport. You won’t miss us; there is a huge weightlifter on the roof! Today in the UK we operate as three brands. From Treadmills and cycles to dumbbells and kettlebells our York Fitness ranges empower training at home. Our ranges cover home cardio equipment, strength equipment and fitness accessories. York Barbell strength and conditioning ranges have been developed with over eight decades of experience and knowledge. Our equipment is used throughout the world by professional sports teams, personal trainers, colleges, universities, and gyms. 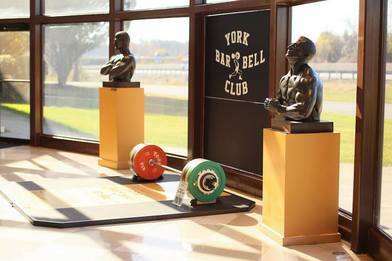 Through our long history, York Barbell revolutionised the design of training equipment and products. From the early glove barbell designs to today’s precision plates, innovative grip plates, finely crafted bars and residential and commercial free weight equipment, York Barbell has consistently set the standard in product styling, performance, and value. The “Strength Training Series” (STS) were originally developed for the NFL in the USA. It is a professional, quality strength equipment range which is prevalent in strength and conditioning facilities across the country from cricket and rugby clubs to strength gyms and Crossfit. 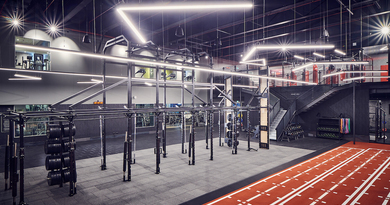 The range of racks, benches, platforms and machines are designed to be integrated together to provide a complete strength and conditioning solution. The Fitness Training Series (FTS) provides a light commercial option for controlled use environments such as schools, colleges and personal trainer studios. It bridges the gap between home and commercial offering great value and versatility. It can be used with 1” cast or Olympic weights so a great option for both PT’s and their clients. Our world famous barbells are manufactured in our own factory in Canada from North American Steel and combine with a full range of weight plates options from cast, to rubber coated through to coloured bumpers. Britannia Boxing Equipment (BBE) has been an integral part in today’s British Boxing scene since the 1970’s. York Barbell UK acquired BBE in 1999 developed the brand in the UK and internationally. The brand complimented the strength and fitness ranges supplied by York Barbell and was a natural choice to extend their product portfolio into boxing. BBE provides both the home and club boxer with professional boxing equipment that not only looks great but has a focus on exceptional fit and feel. Many top class boxers from Super Bantamweight to Heavy Weight have competed with BBE performance gloves to fight and challenge at British Commonwealth and European Level. Today our boxing focus is on producing high end gloves designed in the UK for home fitness users, personal trainers and club boxers looking for exceptional fit and feel. Contact sales@yorkfitness.co.uk / 01327 701800 for further information. Our commercial showroom displays our complete commercial range and can be viewed by invitation.